“Why won’t my iPhone turn on”? is a question that many iPhone users ask at one point in time. 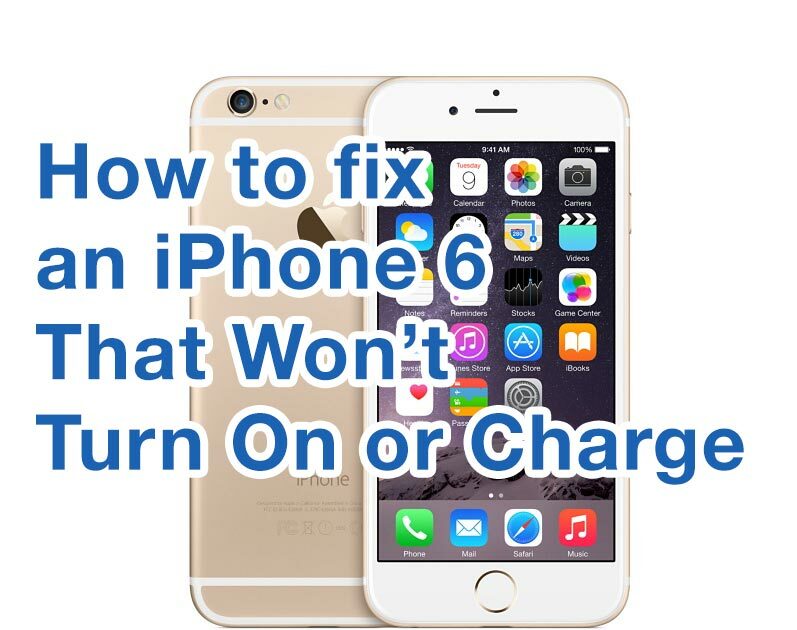 However, if your iPhone won’t turn on, the problem could be one of several things. In this article, we explain what to do when your iPhone isn’t turning on and ways to troubleshoot and fix the issue. Why Is My iPhone Not Turning On? Basically, your iPhone is not turning on either because there is a software or hardware issue. For example, one of your applications may crash and you need to reset or restore your iPhone. Likewise, you may have a hardware malfunction that requires you to contact Apple¹ or take your iPhone to an Apple Store. Firstly, we discuss how to address any software issues that prevent your iPhone from turning on. After all, software problems are easily fixed at home. However, later on in the article, we discuss your options for fixing hardware issues. Firstly, connect your iPhone to a computer or Mac and open iTunes. With your device connected, force it to restart. With your iPhone connected, force it to restart. However, do not release the buttons when you see the Apple logo. The option to restore or update ought to appear, choose Update. iTunes will try to reinstall iOS without erasing your data. Often times, your iPhone won’t turn on because it is not charging properly. To troubleshoot, try using a different charger and cable. Likewise, you can use your charger and cable to charge a different iPhone. In the former case, if your phone charges, then the issue is with your lightning cable and charger. However, in the latter case, if the other iPhone charges, then the problem is with your iPhone. You can read, why won’t my iPhone charge? for more information. Did you drop your iPhone? Or, did your iPhone fall in some sort of liquid? Then, chances are that you may have damaged one of the components that make up your iPhone. The damage then prevents your iPhone from turning on. Your best option here is to take your iPhone to a repair shop. Do not attempt to fix physical or water damage on your own unless you are skilled enough to do so. You can read more information on Apple’s official support page. Why Won’t My iPhone Ring? How Do I Clear Cache On My iPhone? What To Do If I Forget My iPhone’s Passcode? How Do I Get iMessage On Windows PC? What Is The Reason Why My iPhone Battery Turns Yellow?